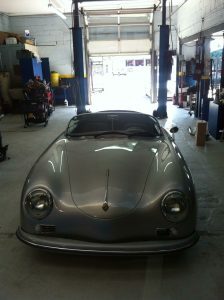 Porsche fitments can be done, but take some time. Please take a look at some of my articles on DetailedImage. Our family business was founded in 1974 by Marcello Nieto. It is a now being run by Lee Nieto, his son. You can find Lee at some of our NNJR-SCCA events as he is an avid autoxer. We are a shop that has specialized in the repair of German cars since 1973. We rebuild engines and transmissions at our facility, both automatic and manual. Our shop can also diagnose complicated electronic issues and has the ability to program and version code control units for Mercedes, Porsche, and BMW from 1996-2016. 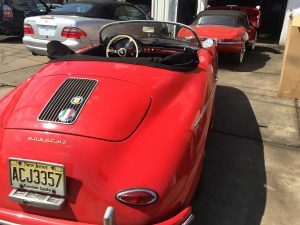 We can also handle the repair of classic German cars going back to 1955. 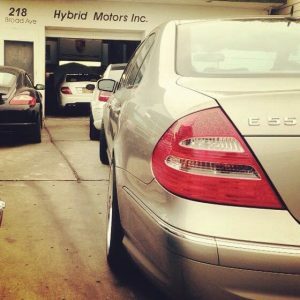 The shops name is Hybrid Motors inc and is located at 218 Broad Ave, Fairview NJ 07022. Error: Error validating access token: Session has expired on Thursday, 11-Apr-19 08:07:55 PDT. The current time is Thursday, 18-Apr-19 19:16:45 PDT.